Before the turn of the century, Houston auto glass was not nearly as safe as it is today. No standard existed for the correct way to install a windshield, and there was no organization that could set up installation guidelines for auto glass companies. In the late 1990s, the Auto Glass Safety Council (AGSC) was created to establish appropriate standards. This council consisted of vehicle manufacturers, windshield producers, adhesive corporations and auto glass retailers. The goal was threefold. Around 1999, the AGSC, in conjunction with the American National Standards Institute, established the Auto Glass Replacement Safety Standard (AGRSS). This standard ensured drivers and their passengers a higher level of safety in the event of a crash. 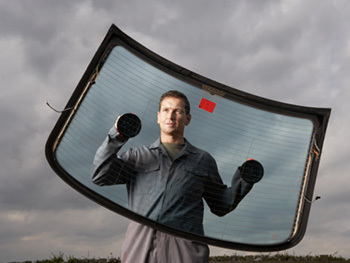 Houston windshield replacement companies have voluntarily adhered to the AGRSS since it was created. Before the founding of the AGSC, there was no standard regarding windshield installation for the auto glass replacement industry. This resulted in serious injuries or deaths that could have been prevented if a consensus had existed. It also left Houston windshield repair companies and their insurers vulnerable to lawsuits by people who thought that their windshields had been installed properly with safety as a primary concern. The AGRSS was updated twice since it was originally established. This happened in 2002 and again in 2015. The current AGRSS deals with six crucial factors involved in windshield replacement. To show their intention to follow the AGRSS, all AGSC registered member companies must have a detailed on-site audit performed regularly by an independent third-party auditor. Additionally, technician certification and testing is administered by the AGSC. 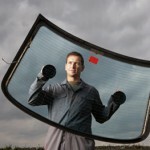 Skilled technicians can complete an online exam that shows their auto glass installation expertise. Those who pass the test can achieve the rating of Accredited and Certified Auto Glass Technician or Accredited Master Auto Glass Technician. Apple Glass is proud to comply with the AGRSS. When you hire us to perform your windshield replacement, you can be sure that the job will be completed properly. Safety is always a main concern. Contact us in The Woodlands at 281-296-0600 or in Houston at 713-680-1400 if you need any type of vehicle, residential or commercial glass or mirror services.